Get fleek brows in no time! Are you ready to up your eyebrow game but don’t know where to start? Find the perfect pair for your face shape, plus all the tips you need to get your brows on point, with this infographic. 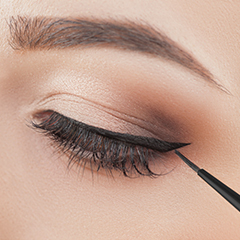 It all starts with getting to know your eye shape and—of course—a great eyeliner. Every experienced makeup wearer knows that mastering your eyeliner is the ultimate test of your makeup skills. Make things a little easier for yourself by using this infographic to help you find out what type of liner technique to use for your eye shape.